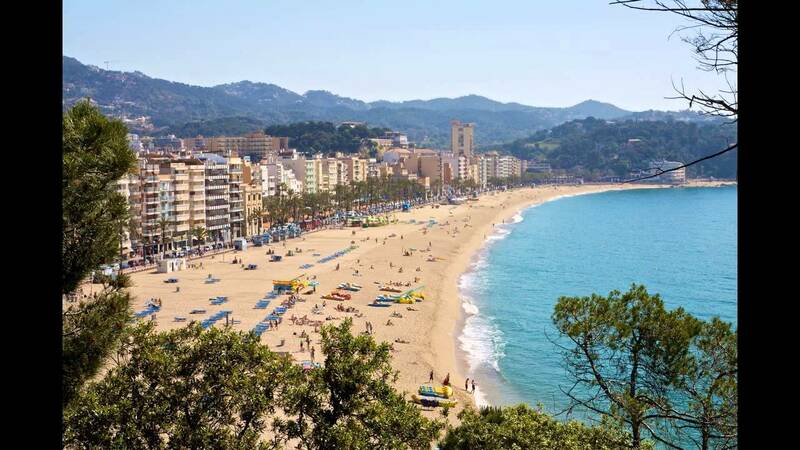 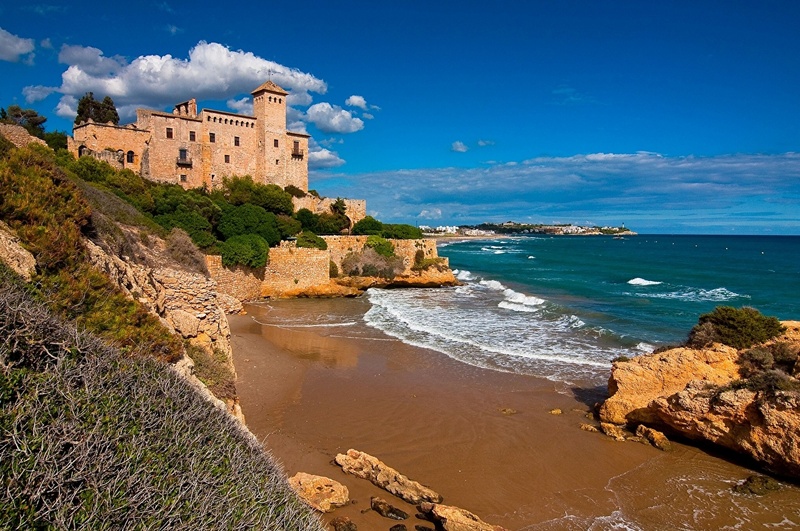 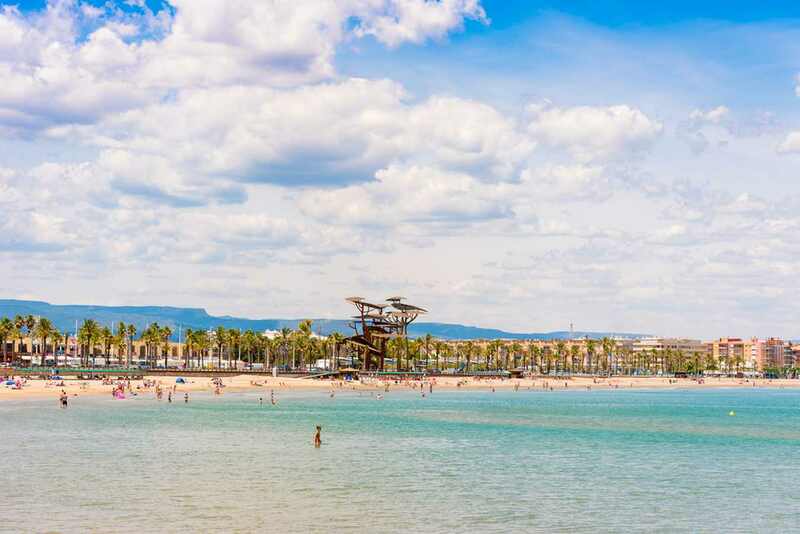 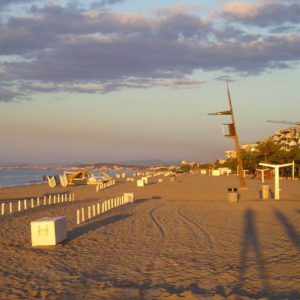 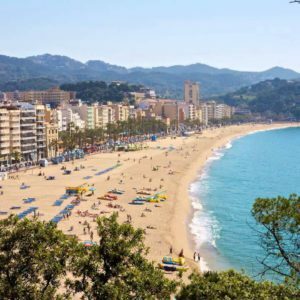 The Costa Dorada covers the coastal strip of the province of Tarragona, from Calafell to the Ebro Delta. 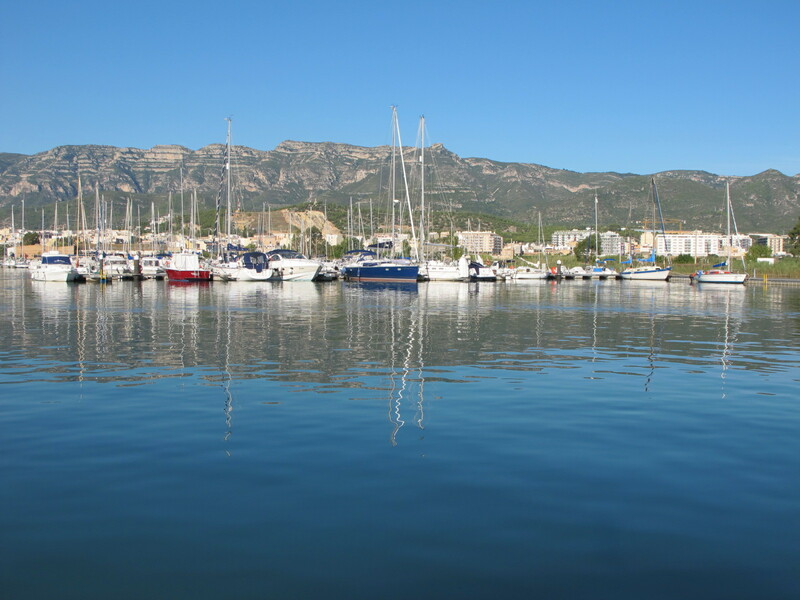 While its coastline has spacious beaches of fine sand with transparent and shallow waters, between the sea and the mountains are quiet villages with beautiful natural spaces. 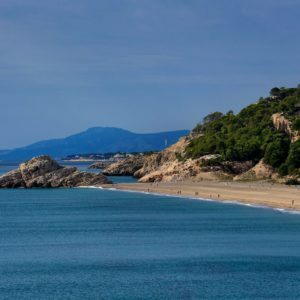 If you are thinking of an audiovisual production or photographic shooting on long beaches of white sand and warm waters, or in small charming towns, on the Costa Dorada you will find the location you are looking for. 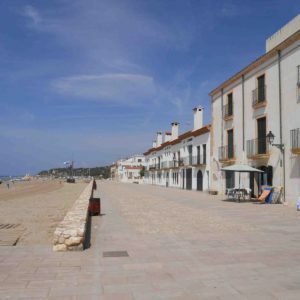 Calafell is a small coastal town that starts this coastal strip. 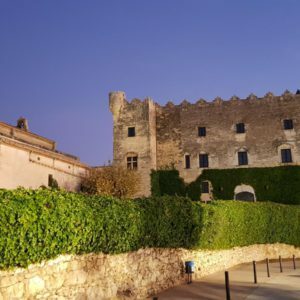 The Medieval Castle of Santa Creu, the remains of the old Roman villa of Vilarenc, the Casa Barral Museum, the Casas de Indianos, the Fisherman’s Monument, the Lifeboat and the Iberian Citadel of Calafell are all worth a visit. 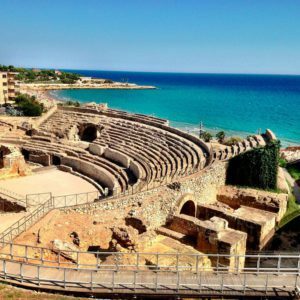 If you are looking for Roman architecture near the sea for your audiovisual project, this is your place. 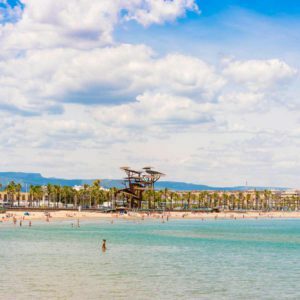 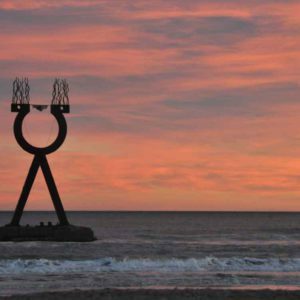 For your audiovisual production or photographic shooting you can choose any of the beaches near the fishing village of El Vendrell. 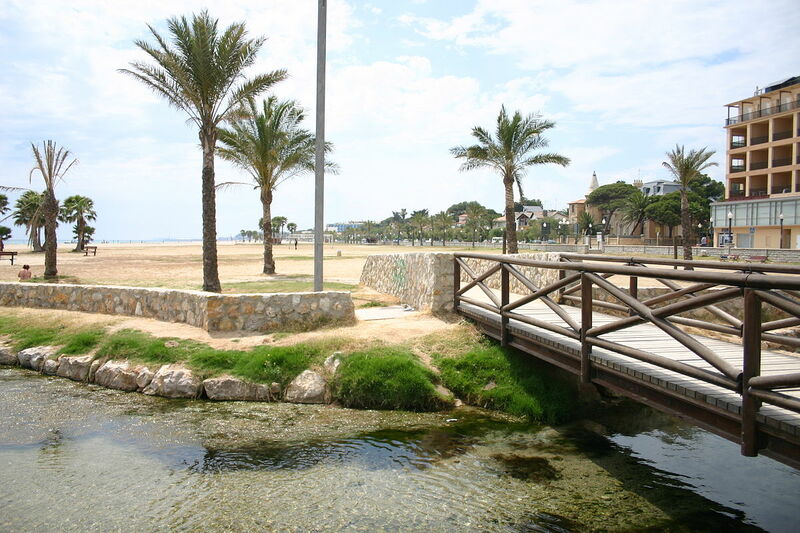 Along its promenade we don’t find many buildings, thanks to a rational planning, and especially at the height of the mouth of the La Bisbal stream is a generously wide and well-maintained sand guaranteed. 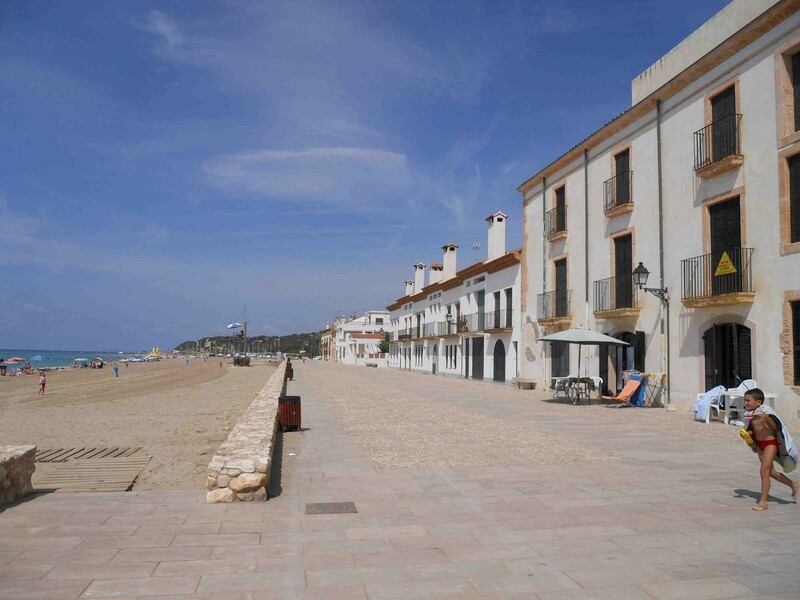 This town, between Coma-Ruga and Torredembarra, has two kilometers of fine golden sand. 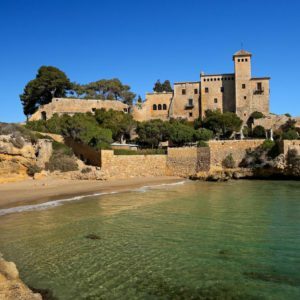 On a small hill it offers beautiful views over the coast, as well as age-old cobbled streets for your photographic shooting or audiovisual production. 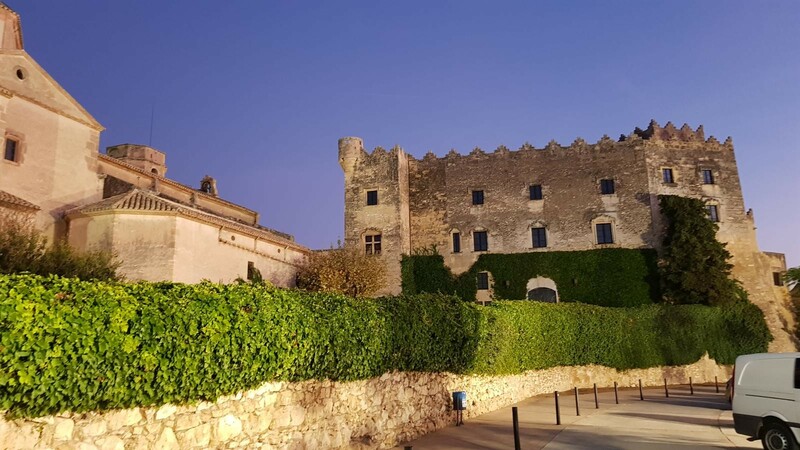 Torredembarra is a historic town that houses the Renaissance Icart Castle, the only civil building of the Catalan Renaissance that exists today in Catalonia, furthermore the church of Sant Pere, the Tower of the Vila and the Vila del Moro. 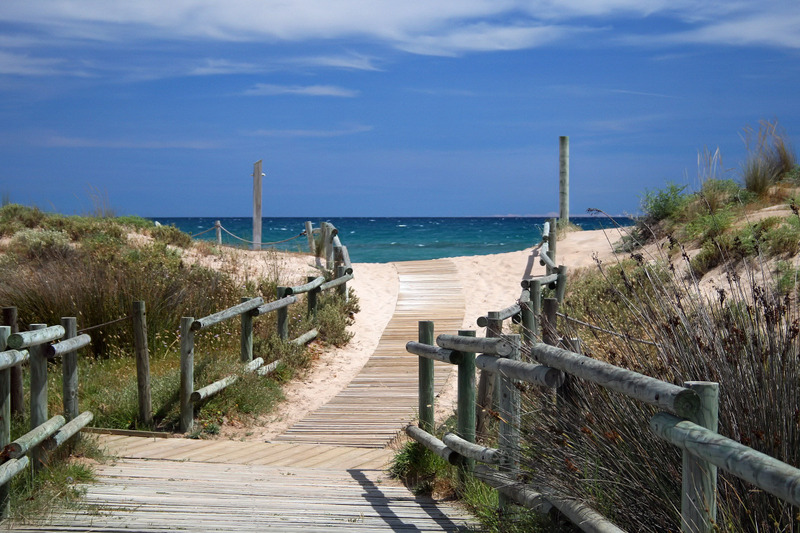 Els Muntanyans is one of the wildest beaches in Torredembarra, due to its special and increasingly extinct dune and salt marsh ecosystem. 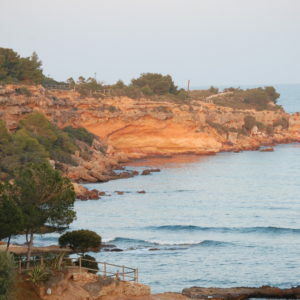 A wonderful landscape and tranquility for your audiovisual project. 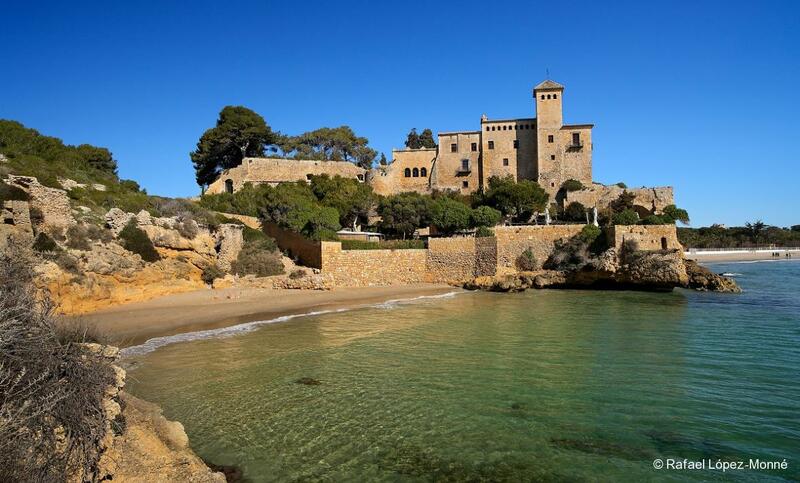 In Altafulla we find in its interior part the castle, on the highest point, and in its coastal part the Botigues de Mar ( little establishments where the fishermen used to leave their working tools), the hermitage of Sant Antoni, some manor houses and the squares of l’Església and el Pou . 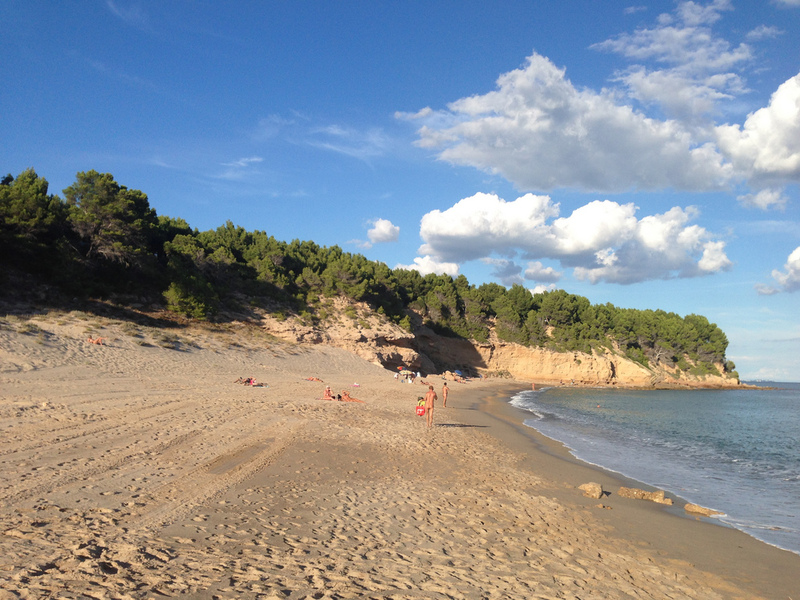 An unrivaled diversity for your audiovisual production or photographic shooting. 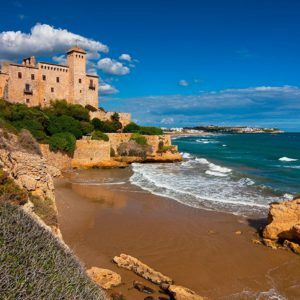 A few kilometers away is Tamarit, a town on the Costa Dorada famous for its castle, the Castle of Tamarit, which rises in front of the sea. 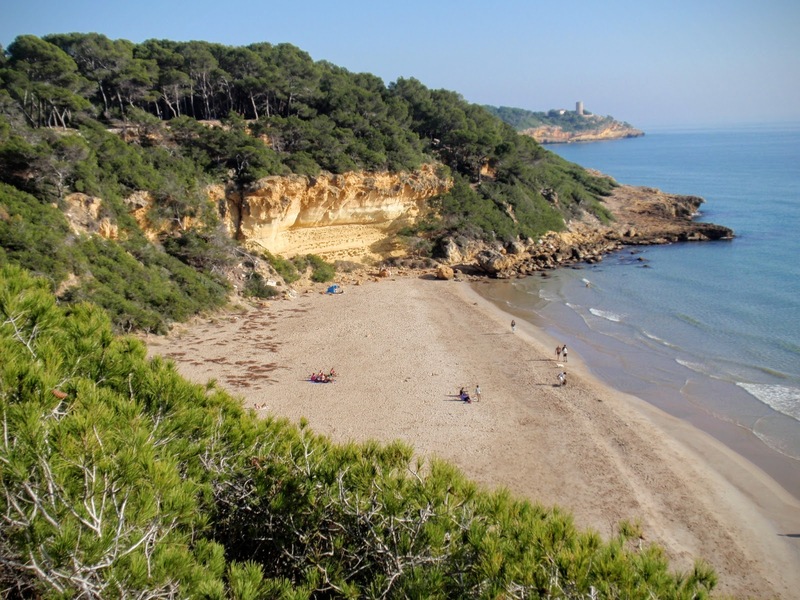 The beaches of this area are wide, with fine sand and shallow waters, but above all this last town has really beautiful coves. 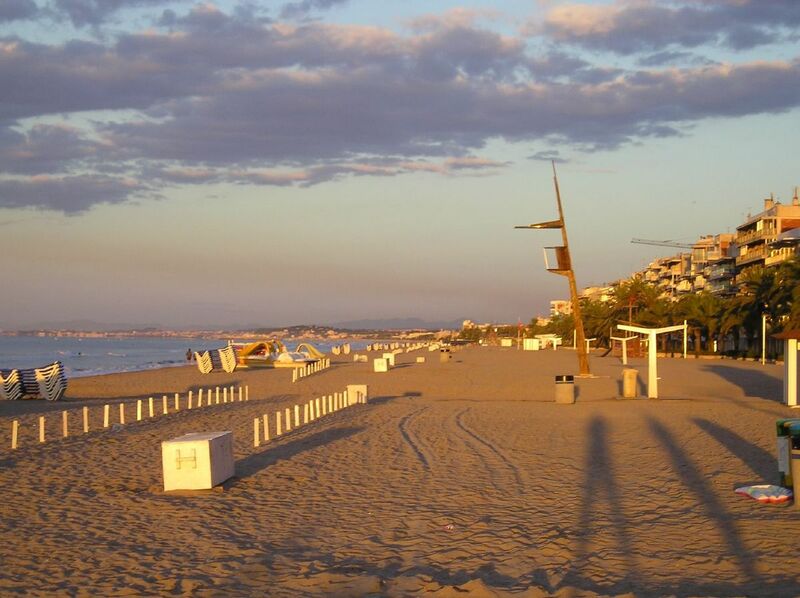 Next to Roca Plana there is another famous beach, which is known by the locals as Waikiki Beach. 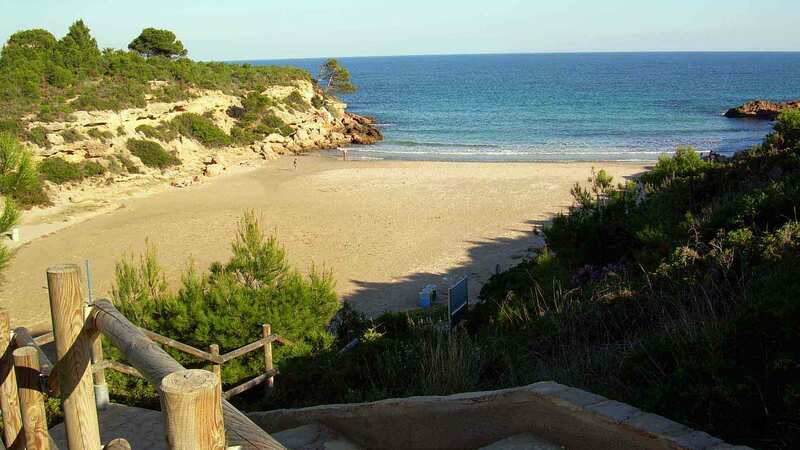 It is the protected beach area of Tamarit-Punta de la Mora. 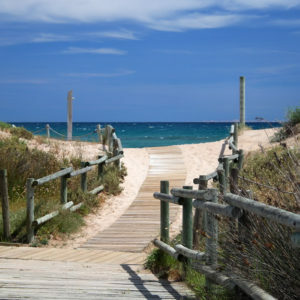 The road to it is already recommendable. 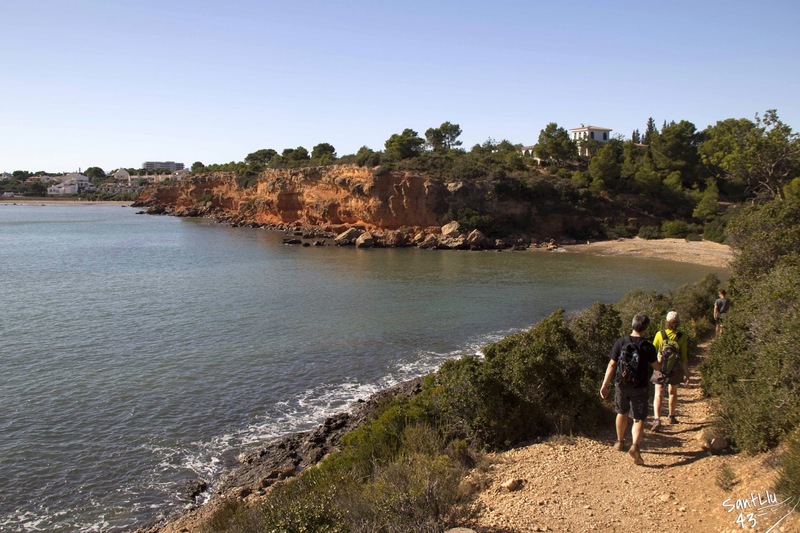 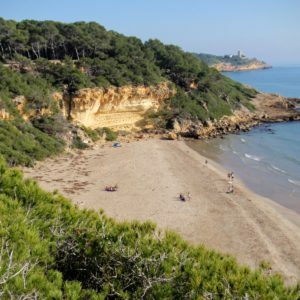 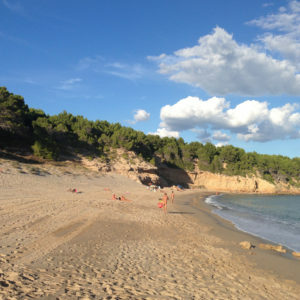 Walk among pine trees until you reach the wall of limestone that bounds the fine sand and the shallow waters of Cala Fonda. 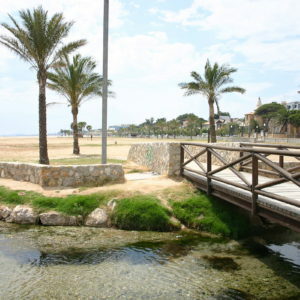 An endless number of different locations that will delight your audiovisual project. 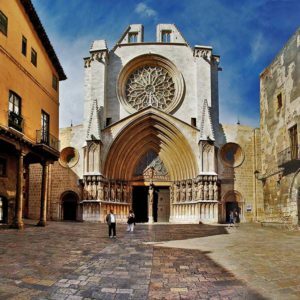 Tarragona is, of course, the most important city of the Costa Dorada, which, in turn, is the capital of the Tarragonès region, one of the four provinces of Catalonia. 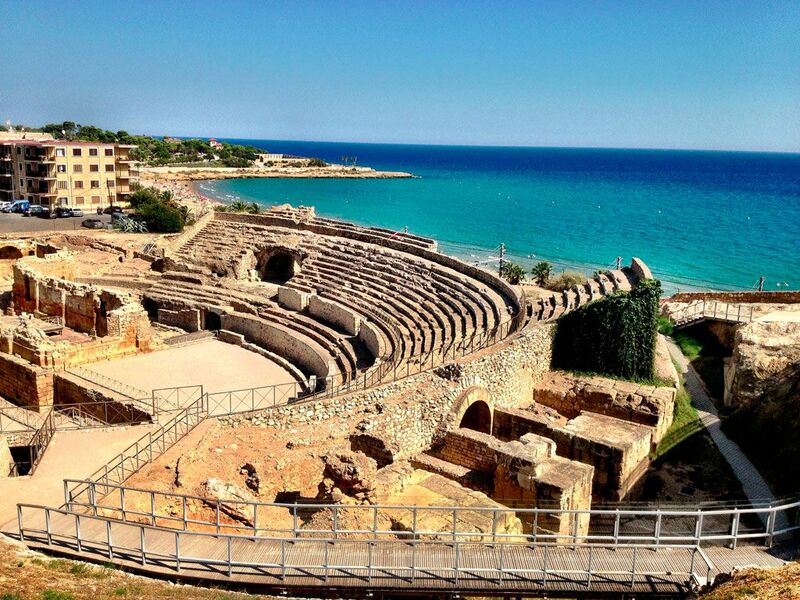 It has been declared a World Heritage Site for its Roman archaeological remains throughout the city. 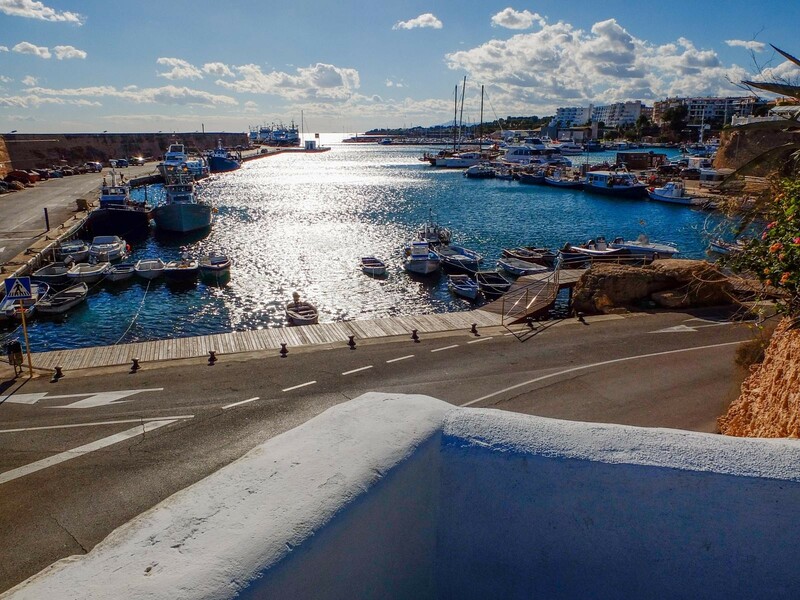 The views from Tarragone’s Balcony of the Mediterranean are impressive and the narrow cobblestone streets and squares are a great option for your photographic shooting or audiovisual production. 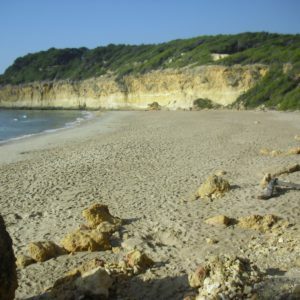 Palau-Sator is much less known. 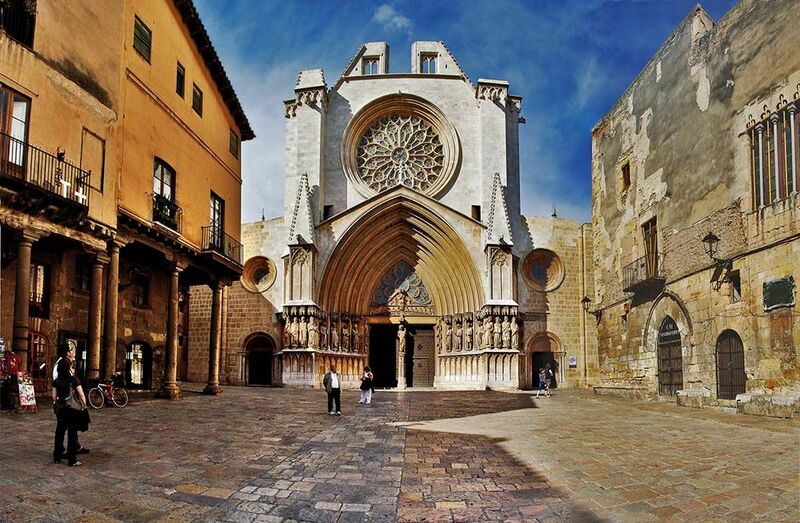 It has a small medieval core. 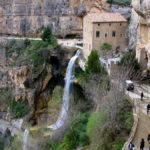 However, its beauty makes it worthy of a visit, although it may be a shorter one. 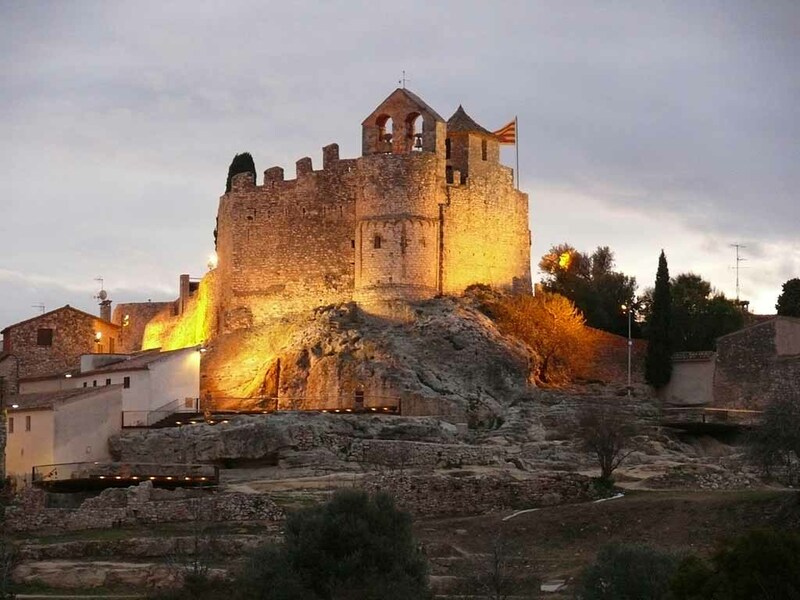 In the center of the town we find the Castle of Palau-Sator, an ideal place for your audiovisual project. 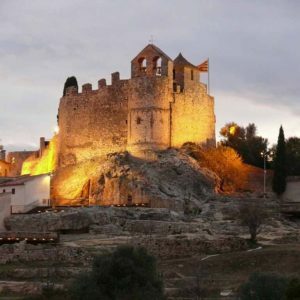 We can find remains of its wall, as well as some of its round based towers and one of its medieval gates, the so-called Tower of Hours, which has two clocks, one normal and one sundial. 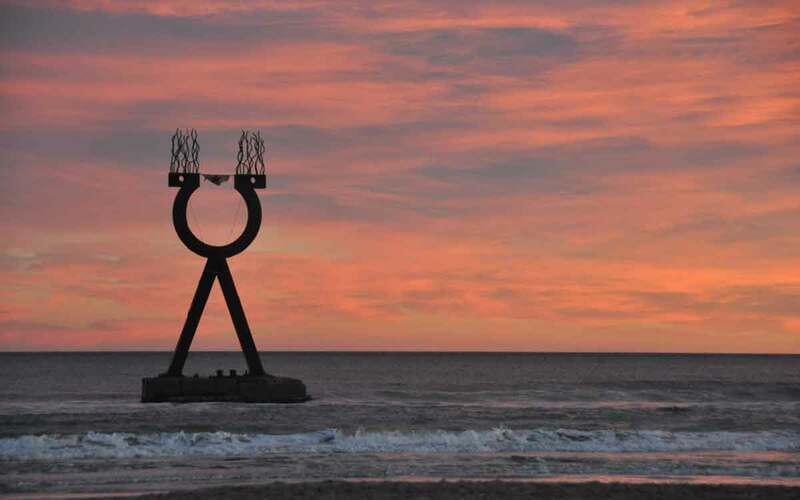 Right in front of the Tower of Hours there is a nice and practical construction: the public laundry. 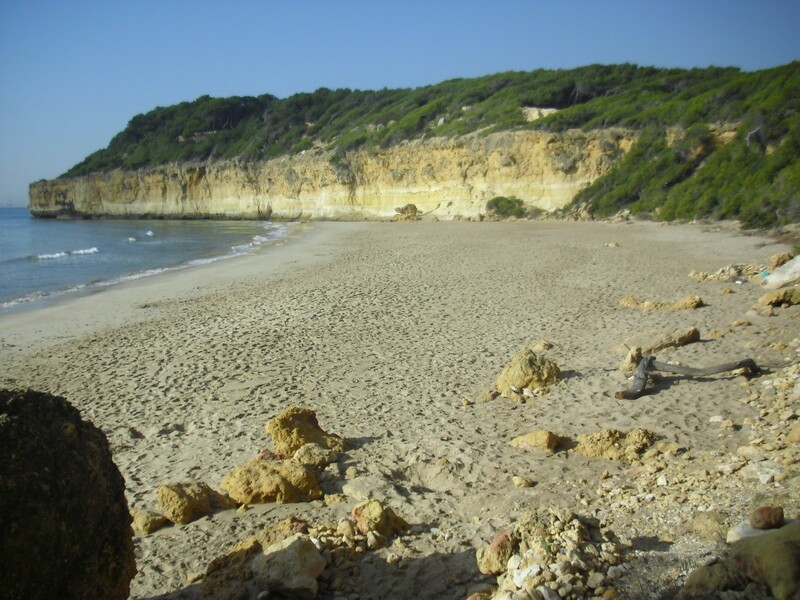 An area of 1,600 meters located in the community of Rojales is Torn beach, the main naturist beach of this coast. 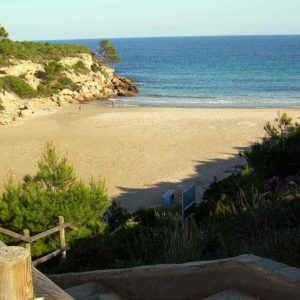 Its solitary situation, and its landscape of dunes, surrounded by pine trees and vegetation, make it irresistible for a photographic shooting or audiovisual production. 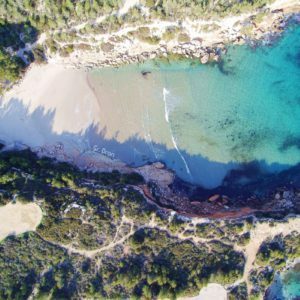 Due to its variety of coves, where you can also locate your audiovisual project, Cala Forn is perhaps the most beautiful beach, comparable with any of the most important ones in Menorca or the Costa Brava, including the pine forests. 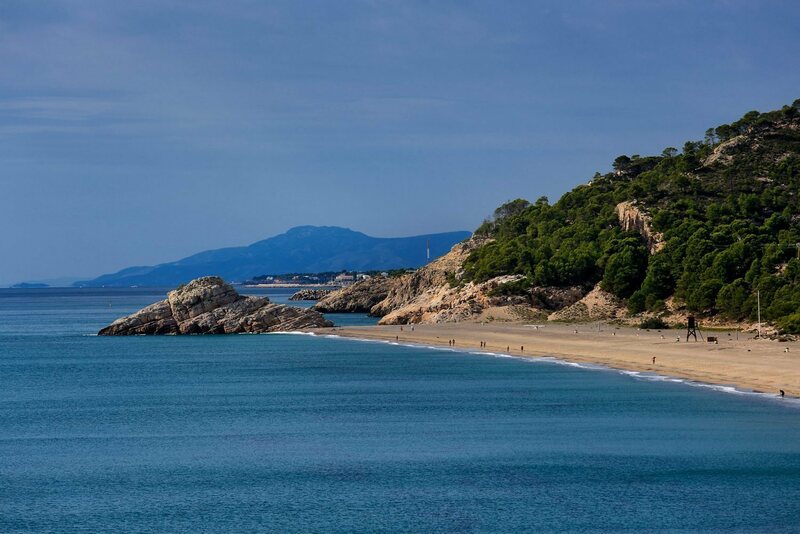 North of the Cap de Santes Creus we find the beach of Port Olivet, in the south, a cove of rock and pebbles, surrounded by pine trees, the best definition of a wild beach, one of the most prized virgin destinations. 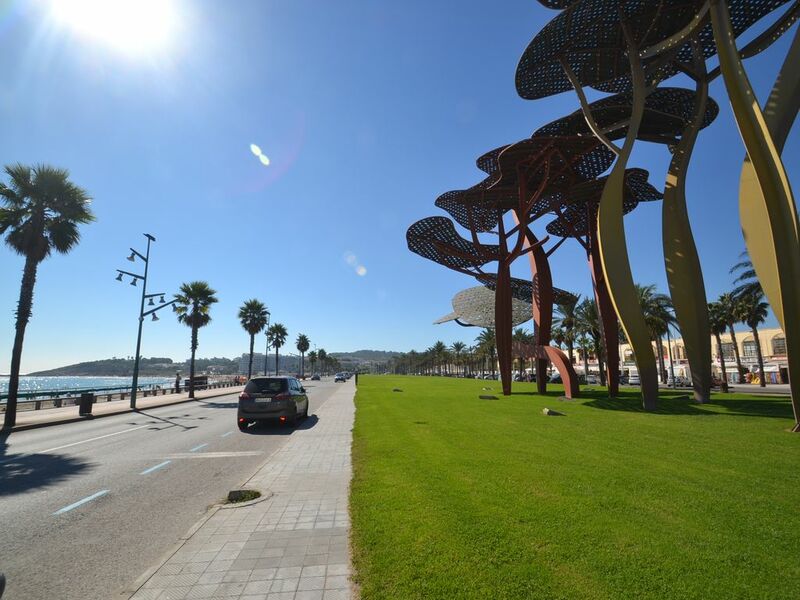 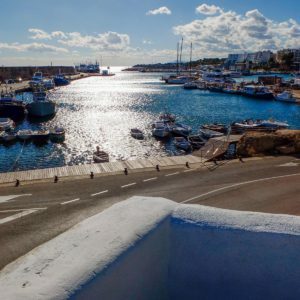 In the town of l’Ametlla de Mar, whose attractions are the fishing port, restaurants and the Ceramics Museum, you will also find ideal locations for your audiovisual production or photographic shooting. 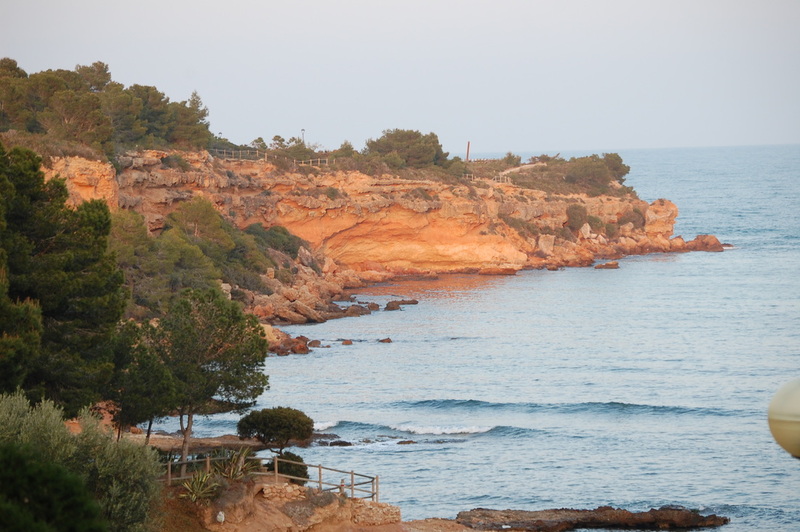 The most typical picture of pine trees and cliffs in the contour of a small cove of sand. 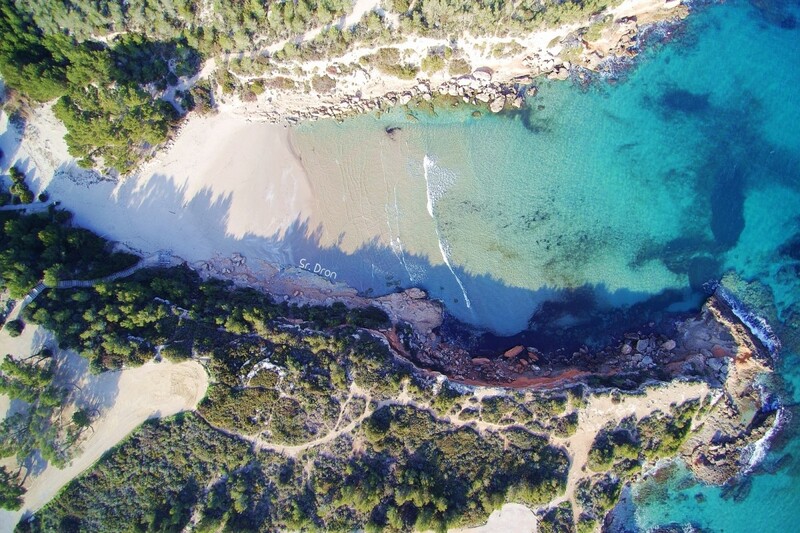 Green, red and blue in the same image for your audiovisual project. 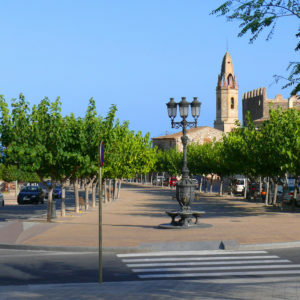 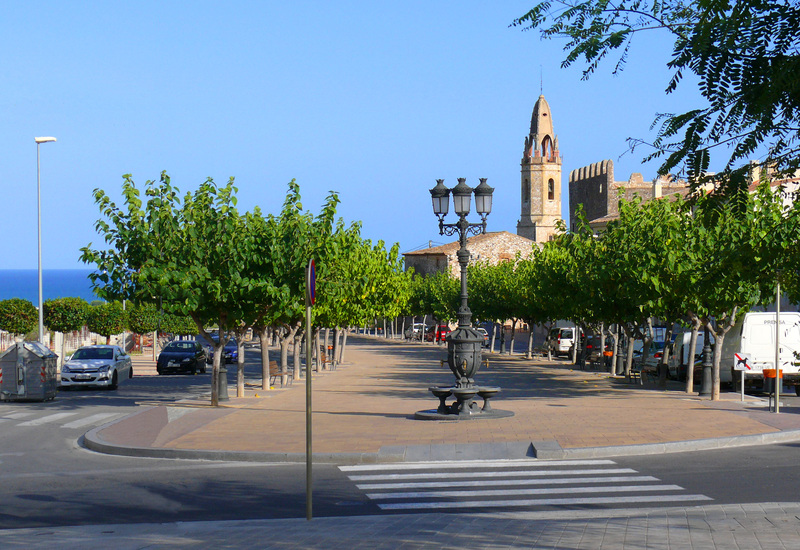 Deltebre is a small well-known town from where you can visit the Fluvial Promenade or Mirador “Molino de los Mirones”. 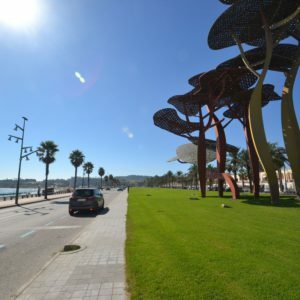 From there you can see the Ebro River and the Island of Gràcia, a splendid landscape for your photographic shooting or audiovisual production. 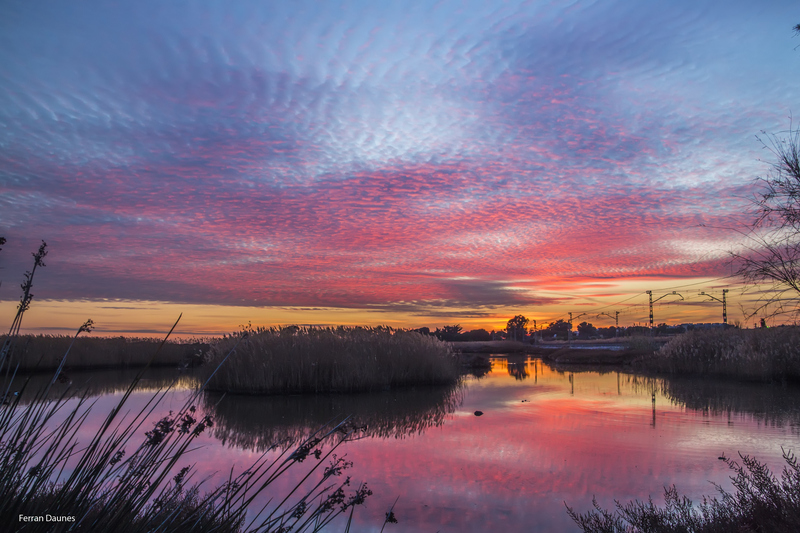 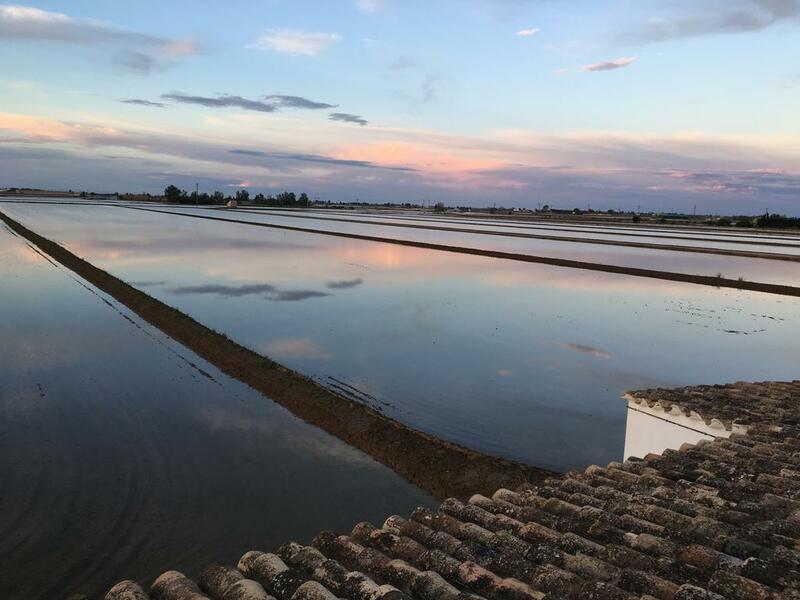 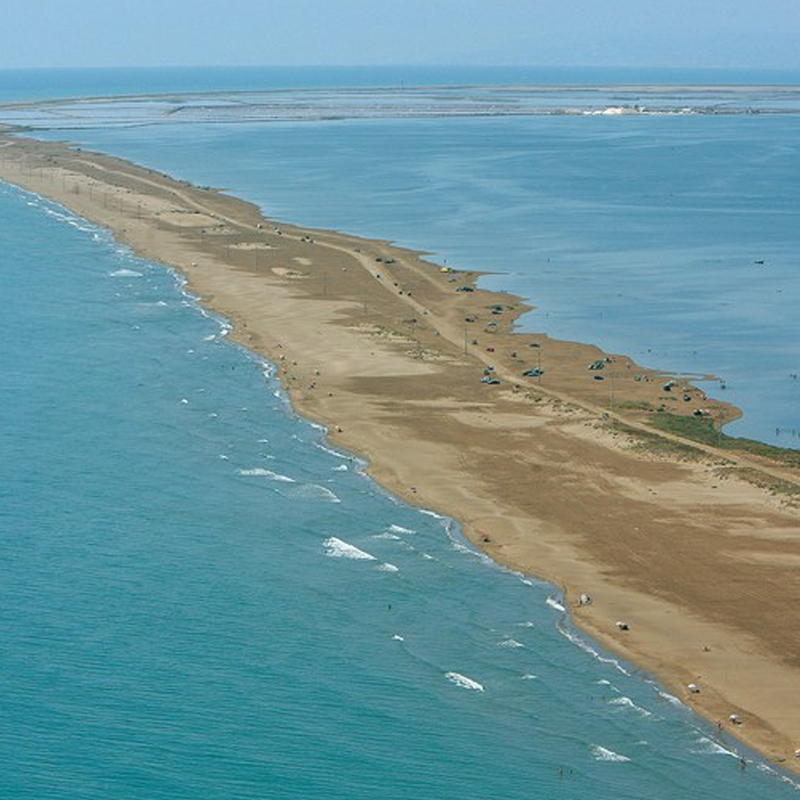 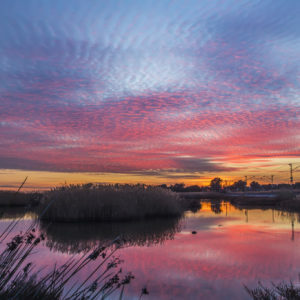 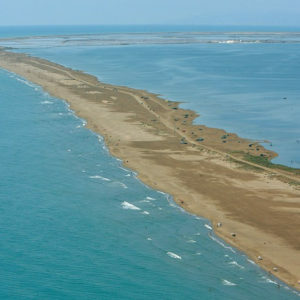 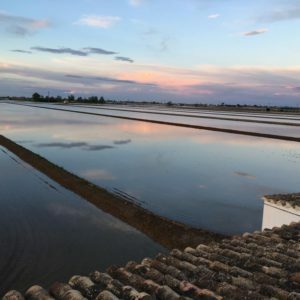 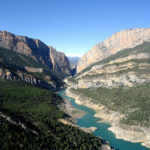 Also of special interest are the Laguna del Canal Viejo, small islands such as Sant Antoni or Buda, the mouth of the Ebro River and, of course, the Delta del Ebro Natural Park, which has an area of 7,736 hectares. 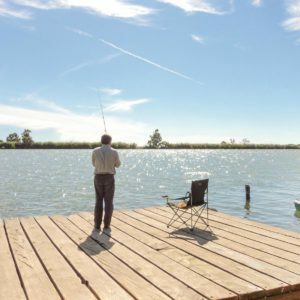 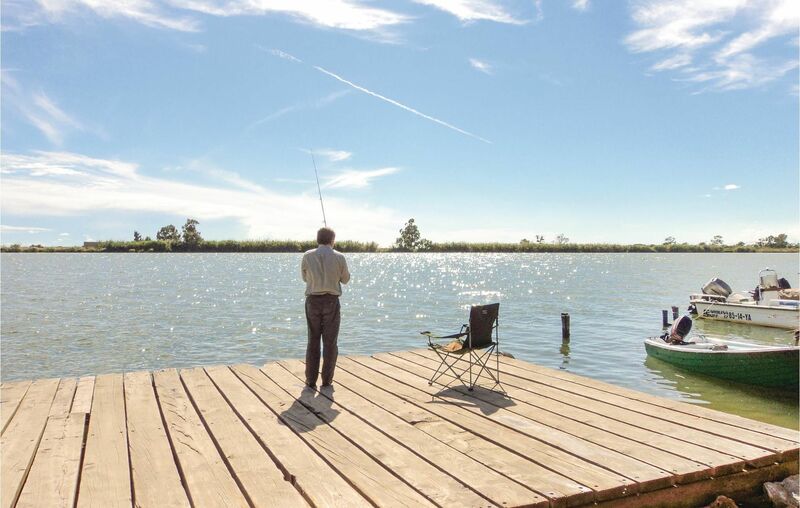 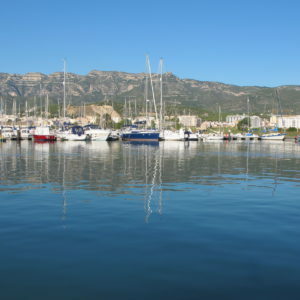 Sant Carles de la Rápita is a fishing municipality closely related to the Ebro Delta, where visitors can walk through the town, see the New Church and contemplate the Mirador de la Guardiola, a perfect set for your audiovisual project.